Is there a better way than conventional bitumen for roads? 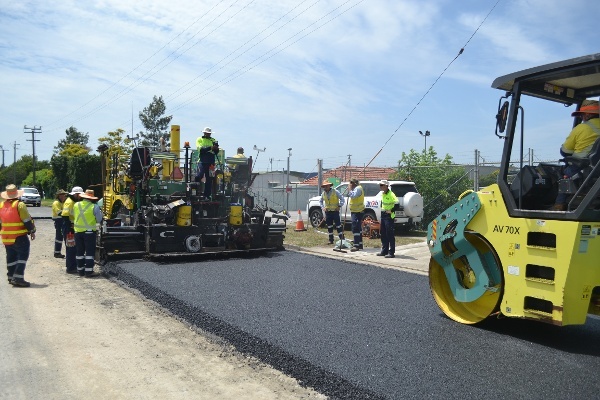 ARRB’s international networks and ability to evaluate overseas innovations identified a viable technology developed in France over two decades – high modulus asphalt. Enrobés à Module Elevé Class 2 (EME2) technology was developed in the early 1990s. Compared to conventional asphalt bases, EME2 allows for a base layer of far reduced thickness, and potentially longer lasting, more fatigue resistant roads. EME2 is characterised by high stiffness and durability, providing superior resistance to permanent deformation and good fatigue resistance. ARRB was involved in the effort to transfer EME2 asphalt technology to Australasia. Two research projects were commissioned to facilitate the technology transfer. Austroads engaged ARRB to developing mix design guidelines, setting appropriate performance criteria using Australian test methods. Queensland Department of Transport and Main Roads (TMR) invested in the development of guidelines for the structural design of pavements containing EME2. A key characteristic of this effort is the involvement of, and in-kind contributions from, various industry partners including the Brisbane City Council, by the use of one of its roads which allowed for the evaluation of pavement design concepts and in situ performance of EME2. ARRB delivered the pavement design, the site setup and is conducting the ongoing performance monitoring. Australasia is now preparing for implementation of this technology on its road network. Through ARRB’s involvement with the Western Australian Road Research and Innovation Program (WARRIP), a similar EME2 trial was conducted in Perth post the Queensland experiment. It is expected that the reduction in pavement thickness that can be achieved with EME2 will lead to more cost-effective pavement designs and more sustainable use of scarce pavement materials in Australasia in the future.